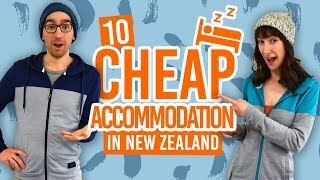 Where can backpackers spend NYE in New Zealand? So, you are in a country far from home, you might as well do New Year’s differently this year. Especially since New Zealand sees the dawn of a New Year before everyone else. That’s a cause for huge celebrations in cities and this is where you’ll find vibrancy and feed off other people’s excitement. There is also the option to surround yourself in a beautiful environment for a spot of stargazing or partying on the beach. Because it is summer, you can enjoy a New Year’s music festival. All in all, New Zealand has some sweet ways to welcome the New Year. So here are some ways to spend New Year’s Eve in New Zealand. For listings of specific NYE festivals, take a look at 10 NYE Events in New Zealand You Can’t Miss! Where to go for NYE? In New Zealand, there are a few good options for welcoming the New Year. We have rounded them up into three sections. If you want to get among it all and experience a buzzing NYE atmosphere, then this is guaranteed in New Zealand’s cities. The usual custom is to countdown to the New Year and to hit a fireworks display. Then take the after-party to the bars and clubs, which all compete for your affections with live bands and DJ sets. All of the below events happen on the 31st of December, just to make that clear. As the most populated city in New Zealand, you can guarantee a vibrant atmosphere. The Sky Tower fireworks display is something spectacular. For the best view of the display and fireworks throughout the city, try and get on the water, across the water from Devonport, or on Mt Eden. 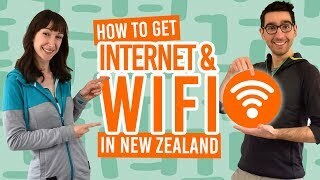 Hilariously, there is a webcam set up so you can watch the Auckland fireworks from the comfort of your WiFi connection. But if you do not feel like staring at a webcam all night long, consider going on the official New Years Eve Auckland Pub Crawl. The starting bar for the pub crawl changes every year so just ask in your hostel. There is a bit of a change of pace in Wellington, the first capital city to see the New Year, with it’s family friendly NYE festival in Frank Kitts Park Lagoon. Fireworks go off at 8pm and then again at midnight. From 10pm, in true artsy city style, the entertainment consists of iconic local movies to the soundtrack of Wellington Orchestra during the countdown to the fireworks. The North Island city on the East Cape is the first city in the world to see the sunrise on a new year. They celebrate with a festival (see below) and having drinks and laughs in the bars and on the beach. We can’t leave without giving the “Party Capital of New Zealand” a mention. The famous Queenstown nightlife gets just a bit more buzzing after the free lakefront celebrations, music event and fireworks. If big crowds aren’t your thing, there is another excellent option by spending NYE in the wilderness. Let’s be honest, the New Zealand wilderness is pretty sensational. Pack up the camper van or car with a group of friends and have yourself your own party on the beach. After all, there is no part of New Zealand that is more than 128km away from the coast. Get your natural night display by doing a bush walk through the Waitomo area to see glowworms. Or head to the South Island and stargaze from the Aoraki Mt Cook and Mackenzie region. Check out where else has awesome stargazing here: 5 Stargazing Sites in New Zealand. Being summer during New Year’s Eve in New Zealand, it coincides with the festival season. Rhythm and Vines in Gisborne, North Island, is the biggest New Year’s festival by being in the first city in the world to see the New Year! International and national acts perform at this world famous event. Rhythm and Alps is Rhythm and Vines’ prettier sister. The festival is in the beautiful mountainous location of the Cardona Valley between Wanaka and Queenstown. The music acts are similar to Rhythm and Vines, with a few exceptions. Aum festival is a multi-day event full of music, art and workshops to get stuck into. The NYE festival takes place in South Head, just a 45-minute drive from Auckland Central, in a stunning deer park surrounded by forest and a clean swimming lake. Rotorua’s 3-day New Year celebration is the GLO Festival. The countries first big brunch happens in Rotorua to the sound of guitar strings being plucked on the live stage. The weekly night market is turned up a notch on the 2nd January with a Summer Fiesta. Meanwhile, on Waiheke Island, Auckland, have a festival in a vineyard! The Highlife NYE festival aims to attract 22-year-olds and over, usually with a dress code, for an ever-so-slightly more sophisticated party. Expect international acts, good wine, burlesque performers and good times. For a more complete round-up of New Year’s festivals in New Zealand, check out 10 NYE Events in New Zealand You Can’t Miss! More places to see fireworks and New Year festivities! Let’s be honest, what is New Year’s Eve without fireworks? Nothing, that’s what. Make sure you find your local display!